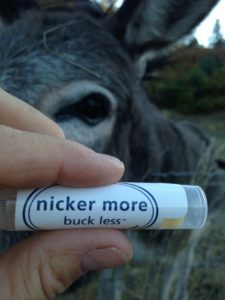 At NickerNews and BestHorsePractices, we feel exceedingly fortunate to have a herd of outstanding advertising partners. Lucerne Forage is a great way to add calories and convenience to your horse feed during the energy-burning winter months. Check out their forage options here. 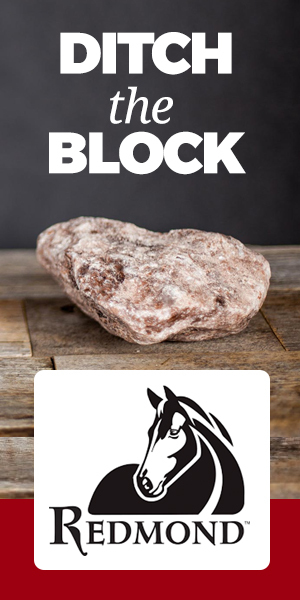 Concerned about your horse’s nutrition? Check out Hay Balancer offers! Renegade Hoof Boots are tough and easy to use. Plus, their customer service is fabulous, personal, thoughtful. Get started here. Research shows slow-feeding is one of the best options for horses’ health. 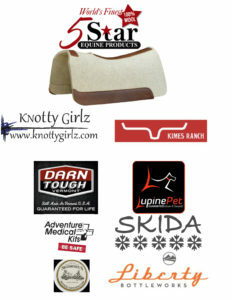 Check out Hay Pillows and Harmany muzzles. It’s not too early to consider fly predators for next year! Visit Spalding Labs and sign up for your first delivery. Nelson Waterers take the buckets and thankless hauling out of the equation. Check them out here. Invest in self-improvement for your horses’ sake: clinicians Libby Lyman and Elijah Moore are here to help. Horse losing weight? Looking not quite right? It might be bad teeth or a sore back. Check out equine dentist Steve Akeley and chiropractor Petra Sullwold. Wear your heart on your sleeve and your horse on your wrist. Turn mane and tail hair into a precious piece of jewelry. Check out Braids by Britt. 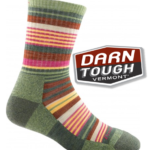 Socks are easy to buy and sooo fabulous to receive. Start here with Darn Tough. EcoLips makes all variety of lip balm. Straight from Iowa. You can event design your own. Learn more. Knotty Girlz halters and lead lines feel so good in your hands. Made in America with an extraordinary number of options to choose from. We love their innovative eye-splice lead line! Visit Knotty Girlz. Other ideas: a great Kershaw pocket knife and a Me and My Dog (and horse) Adventure Medical Kit. 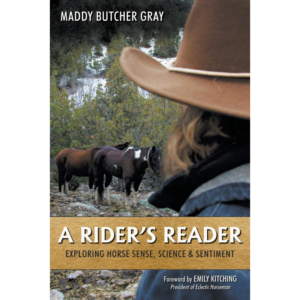 Join Remuda Readers and get Maddy Butcher’s A Rider’s Reader: Exploring Horse Sense, Science & Sentiment FREE. 5 Star equine pads and cinches are the best around. Made in U.S.A. Click here. Leggings from Fringe Leatherwork. Treat yourself or a horsey loved one to beautiful, custom chinks, chaps, or armitas. Click here. The best selection and prices for Wade saddles are at Western Sky Saddlery. Saddle bags are a must for those long trail rides. Outfitters Supply has a huge selection for English and Western riders. Check them out here. Posted in Gear, Partners, Reviews and Links.